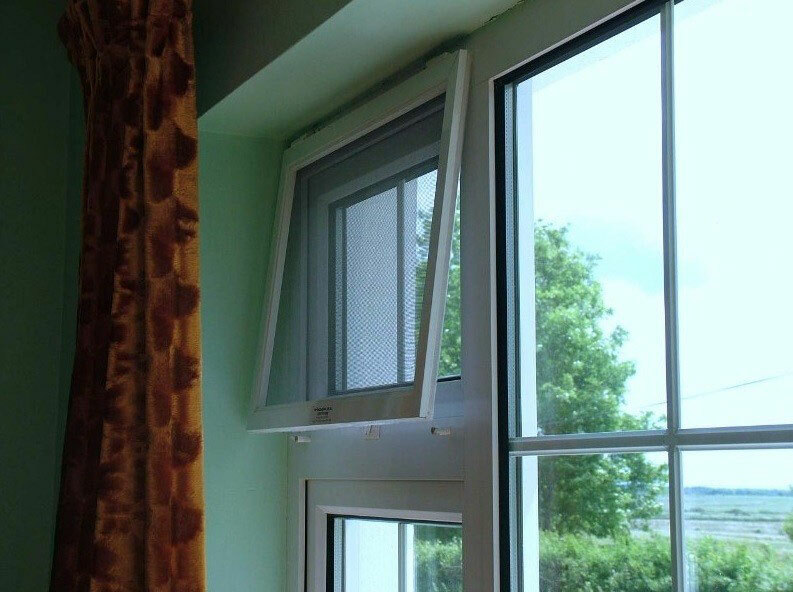 In 1985 we were delighted to be the first Irish company to design, patent and produce our own fly screen range and hardware pack here in Ireland for all window types. Our system has no open joints with plastic corners and comes with inner corner cleets in both rigid pvc and aluminium for additional strength. Inbuilt in the profile we have a twin-wall colour-coded brush piling to create a cushion between the existing window frame and this also helps create a perfect seal every time. Standard colours are white and brown but all RAL colours can be matched to meet individual requirements at an additional cost. 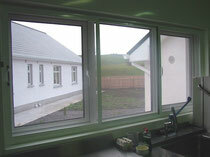 All our products surpass EU 2001 HACCP & FSAI Food and Hygiene Regulations. Our screens are in use in many of the leading food establishments in Ireland together with thousands of private homes nationwide with great success. Available in colour choices to match existing decor in robust, yet aesthetically appreciative powder coated aluminium frames. Mesh choices come in fibreglass, coated aluminium, stainless steel and the 'all new' Pet Mesh (keeps pets at bay or ideal for high usage areas) all in differing mesh sizes depending on the application. 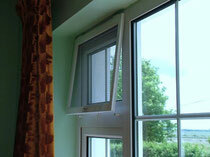 Our window flyscreen hinges, magnetic striker plates and retaining clips are all made from rigid PVC. Our Heavy Duty Fly Doors come with a similar emphasis on quality, strong design and cost effectiveness.